A single Waxwing was still in the area of the Richardson hide for much of the day. 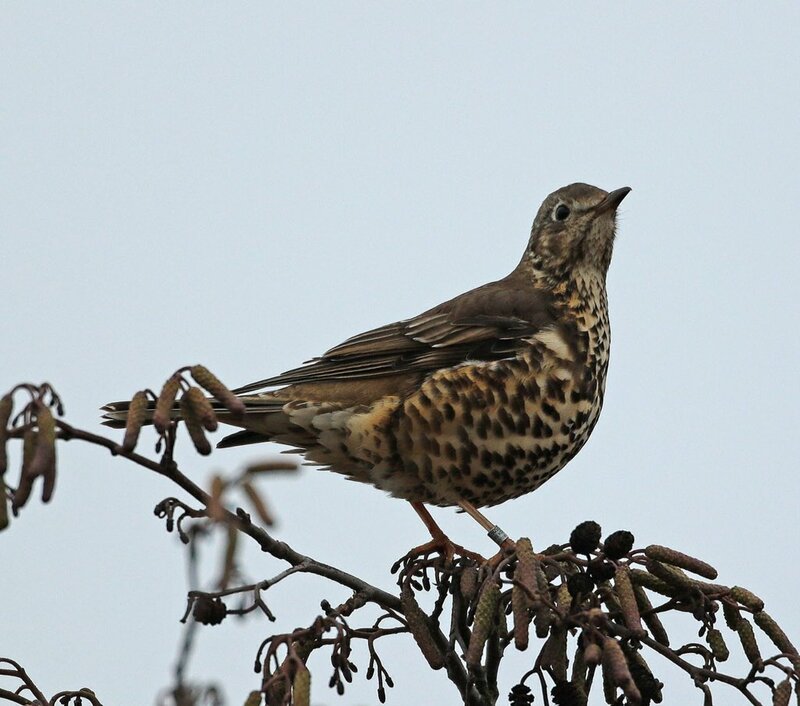 A ringed Mistle Thrush photographed at Drove Orchards yesterday has proved to be 9 years old!! 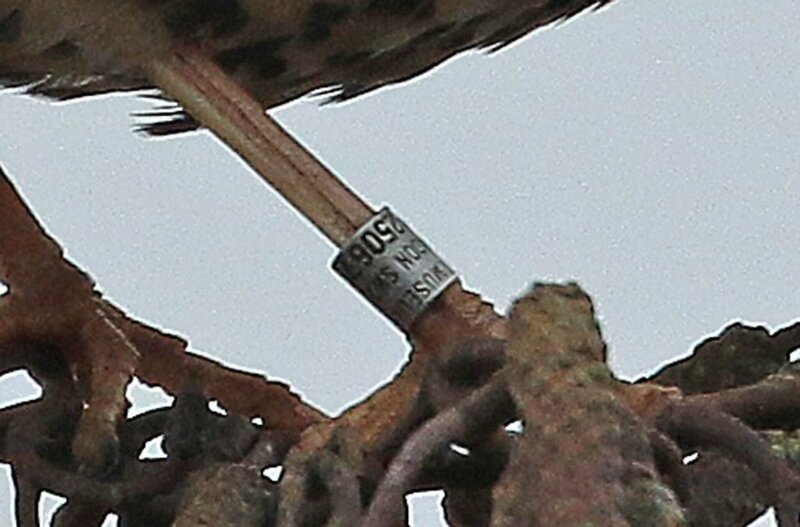 Two photos of the bird by Les Bunyan below (taken 14th Jan 2018), together with the original ringing photo on 12th January 2010 (bottom).